Expanded Polystyrene (EPS) is a high-performance, closed cell, rigid foam insulation material containing air as main ingredient. 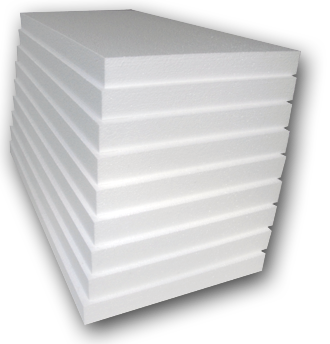 EPS insulation resists moisture, mold, and fungi with low environmental impacts, high & stable Long-Term Thermal Resistance, and good drying potential over the long service periods of buildings. Adding continuous insulation (c.i.) offers higher effective insulation values than adding similar amounts of cavity-insulation and it greatly reduces the risk of condensation and mold on framing members with proper detailing & installation. All Korolite® types are available in various standard and customized sizes & thicknesses. Meets NFPA 285 with specific limitations for an exterior wall assembly with EPS c.i. * Values are for 25.4mm [1 inch] thick samples with natural skins intact. Better values will result for thicker materials. ** The test methods used to determine the above material properties provide a means of comparing different cellular plastic thermal insulations. They are intended for use in specifications, product evaluations and quality control, but they are not intended to predict end-use product performance. ¹ Values are for 1 inch [25.4mm] thick samples with natural skins intact. Better values will result for thicker materials. ² The test methods used to determine the above material properties provide a means of comparing different cellular plastic thermal insulations. They are intended for use in specifications, product evaluations and quality control, but they are not intended to predict end-use product performance. ³ R means resistance to heat flow. The higher the R-value, the greater the insulating power.